Go back to the early seventies and Britains Got Talent existed in a very different form, New Faces. After a long and successsful reign from Hughie Green and Opportunity Knocks, this ATV show came into the popular viewing figures of the seventies with its very own Simon Cowell. In the form of Mickey Most and Tony Hatch, these two were as awkward and as viscous as any comments mr Cowell gives today. 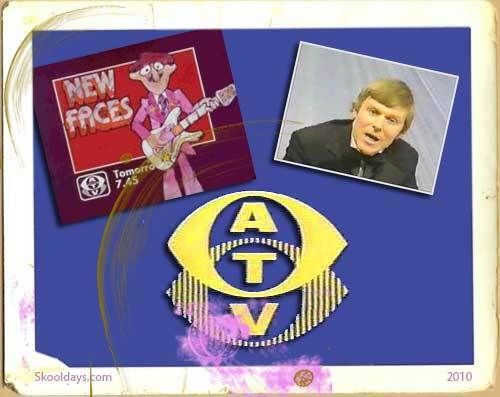 ATV’s successful New Faces talent contest from 1973 to 1978 was hosted by Derek Hobson. I can’t say ive seen much of him since those days. New Faces first aired in September 1973 and remained until April 1978. Contestants received marks out of ten from the four judges in three categories such as “presentation”, “content” and “star quality” This meant each judge could give upto 30 points providing an accumaltive top score of 120 points. For me, I particularly remember the cartoon introduction of a man looking like sid little busking with a black Sedan coming along and offering him a break. These are a few of the stars that came out of New Faces, Marti Caine, Lenny Henry, Dave Allen, Joe Pasquale, Roy Walker, The Chuckle Brothers, Victoria Wood, Roger De Courcey and Nookie Bear, Les Dennis, Jim Davidson and Patti Boulaye. In 1986 it was resurrected by Central Tv for a run of a few years with Marti Caine a previous winner. This entry was posted in Pop Culture, PrimeTime, Saturday by Skooldays. Bookmark the permalink. Apparently ATV have wiped all copies. We came fifthI Think? But it was good fun to do, if you play the video to the end you can see the judges comments.